Offering quality and versatile style, this Coralais sink faucet brings sleek design continuity to the kitchen. The two-handle design features ergonomic lever handles for easy operation, and an angled swing spout makes room for pots and pans. 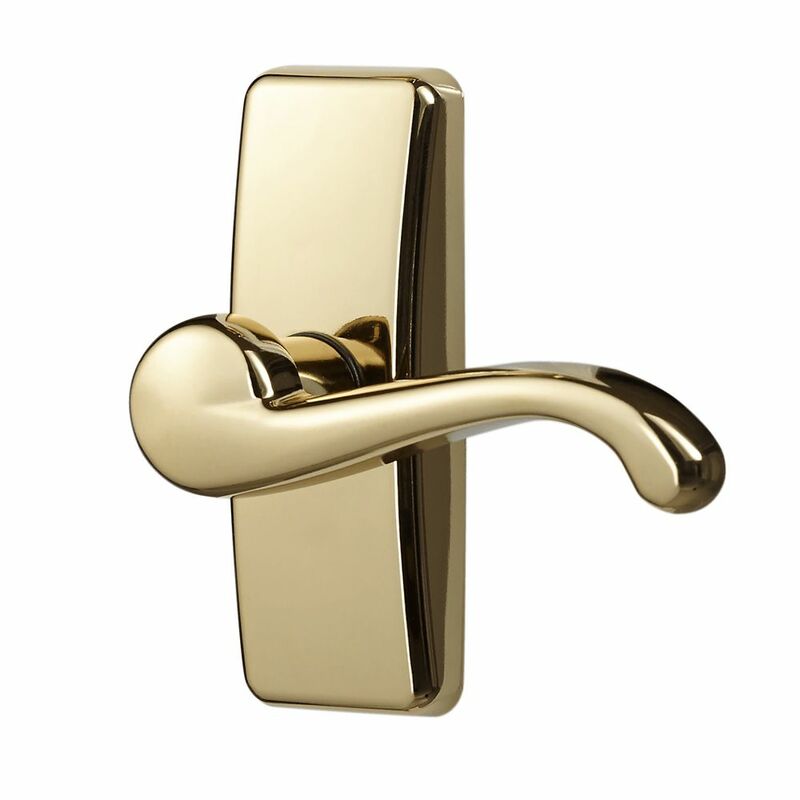 Deluxe Storm & Screen Door Lever Handle With Deadlock is rated 5.0 out of 5 by 3. Rated 5 out of 5 by James from The handle was easy to install !... The handle was easy to install ! Rated 5 out of 5 by Kat48 from Quality product. Quality product. Rated 5 out of 5 by bob from Perfect As described. Fit perfectly into existing holes. Fast/easy install. Looks great! !